Passion Liturgy in Balla at 8 pm on Good Friday. This entry was posted in Community Notices, Education, Services, Upcoming Events and tagged alms, Balla, Belcarra, Catholic Church, charity, children, education, Lent. This entry was posted in Community Notices, Education, Gallery, Services, Uncategorized and tagged Balla, Balla CRD, childcare, children, community, development, Mayo, Mini Mi's. Fully resourced childcare facilities have been identified as a critical need within our community. We have a top-class national school and an excellent secondary school in Balla. We also have a small preschool operating very successfully in Balla but accommodation has been limited to 22 children and it is estimated that demand will be significantly higher than this over the next few years. The Management Committee of Balla CRD decided that ‘state of the art’ childcare facilities would be available in Balla Community Resource Centre from this September to accommodate up to 60 children in playschool and they are also very committed to the re-establishment of the after-school care facility. We are really excited about this expansion and we know it will be of immense benefit to the town of Balla and the wider community for many years to come. This entry was posted in Community Notices, Education, General, Recent Happenings, Recreation & Leisure, Services, Uncategorized and tagged after-school, Balla, Belcarra, childcare, children, community notices, education, happenings, Mayo, pre-school, school. This entry was posted in Community Notices, Education, Gallery, General, Uncategorized and tagged Balla, Belcarra, children, community centre, community notices, CRD, festival, happenings, resource, robotics, workshop. Fully resourced Childcare Facilities have been identified as a critical need within the community. We have a top-class National School and an excellent Secondary School in Balla. We also have a small preschool operating presently in Balla but accommodation is limited to 22 children and it is estimated that demand could be double that number by next September. The Management Committee of Balla CRD has now decided that ‘state of the art’ childcare facilities will be available in Balla Community Resource Centre from September next to accommodate up to 60 children in playschool and they are also very committed to the establishment of an after-school care facility. We are really excited about this plan to upgrade the facility and we know it will be of immense benefit to the town of Balla and the wider community for many years to come. Please see plans for the facility below . Construction is due to begin in the next few weeks. This entry was posted in Community Notices, Education, General, Recent Happenings, Services, Uncategorized and tagged Balla, building, childcare, children, community, community notices, education, facilities, facility, Mayo, parents, plan, pre-school. will take place in Belcarra on Sunday April 10th. This entry was posted in Community Notices, General, Services, Uncategorized and tagged Balla, baptism, Belcarra, Catholic Church, children, Pastoral Council, thanksgiving, Tuam Archdiocese. will take place around the church field after 8pm Mass on Saturday. 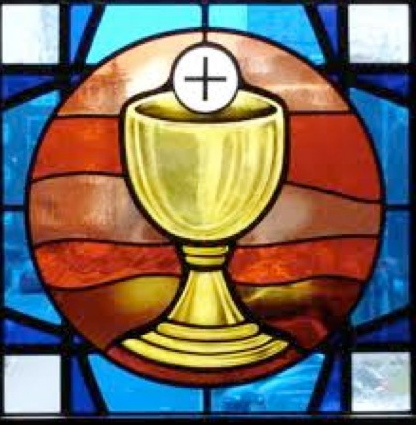 Benediction will take place at the end of Mass in Balla on Sunday. This entry was posted in Community Notices, General, Upcoming Events and tagged Balla, Belcarra, celebration, Ceremony, children, church, community, Corpus Christi, First Communion, procession.